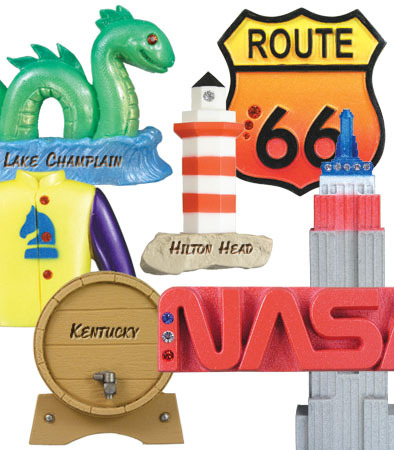 Clay Critters announces a new line of tourist destination magnets, ornaments, and keychains. These items are strongly associated with a specific or tourist destination. Tourists purchase destination-related items as a reminder of their trip.